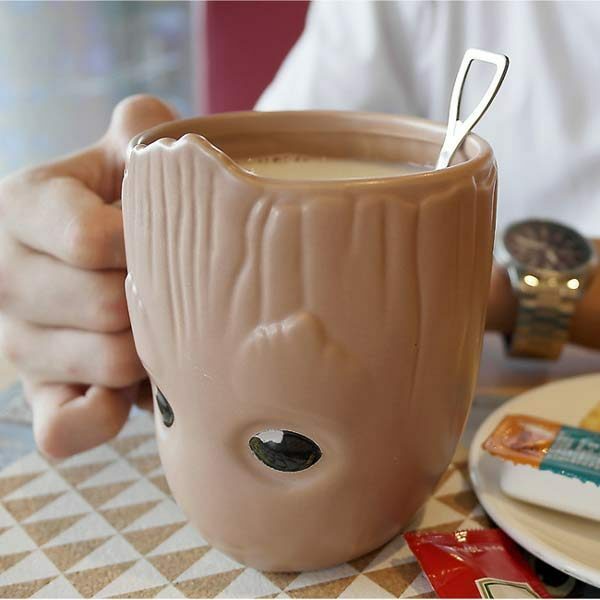 This Baby Groot Cup Coffee Mug is Made of 100% high quality Ceramic. With a capacity for approx. 500ml, it has enough size to supply your morning moments. Show your love to this 3D baby groot cup coffee mug and it will love you back. 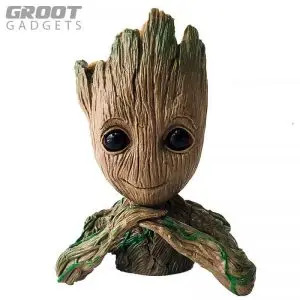 It will take you to an inter galactic journey and help you defeat Thanos by forging a Stormbreaker for you. 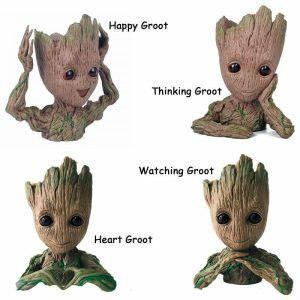 So shall you, be the THOR! 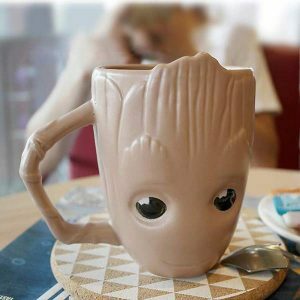 Groot is the ultimate defense against the infinite space aliens, full of destructive radiation, the power surging from an infinity stone like a 1000 suns bursting on your face, Just like a cup of coffee is our only defense against the harsh traffic we face first thing in the morning. Seriously, we need that defender, or we’ll die with a sleepy head. And in office, no one can hear you scream about missed deadlines and project reports. Face the harsh realities of your morning environment with the tasty beverage of your choice, served up piping hot in this Baby Groot 3D Mug. 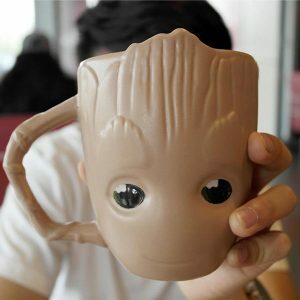 Shaped like the babt groot head that braved Thanos and mighty hot Stormbreaker fresh out of the melting ore, sowrn to protect all life forms and the universe itself, it will keep 500ml of liquid for you to enjoy your planet, the mighty Earth… for now.